My entire routine has changed the last month. My free time feels like it's gone. 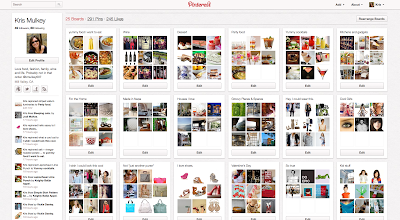 I used to have a few minutes to scan my favorite blogs for some new recipes. Or just have time to check in on my blogging friends out there. Because believe it or not, I do know some of these blogging gals, which makes reading their blogs even more fun. But now that I'm doing social media for someone else and getting paid to do so, I'm having a hard time finding time to do the things I want to do for me. Holy crap. That's a total lie. I'm having a hard time doing the things I should be doing like making amazing dinners, spending time with the family off-line and cleaning the house because I'm spending too much of my very little free time goofing around on websites like Pinterest. It's the latest internet craze. Don't know what it is? Well, remember in the "old fashioned days" when you saw something in a magazine or newspaper you liked you would tear it out and keep it somewhere -- in a folder, the kitchen junk drawer, or just right there on the table to get to later? Pinterest has solved that problem. You can now collect all those great ideas and keep them organized in folders, which they call boards. It causes us to eat crap for dinner because it's distracting me. 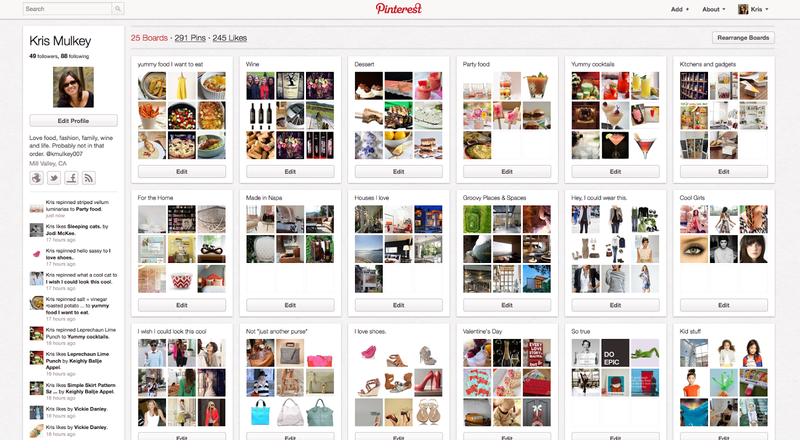 These are all the amazing things that tease you, which you then copy and clip to one of your personal boards. See those luminaries in the top left photo? How cute are those? I've pinned them to my party folder. These are some of my boards. I like collecting recipes, fashion ideas, kids stuff, wine stuff, cocktails, and decorating ideas. I realize these images are hard to see. 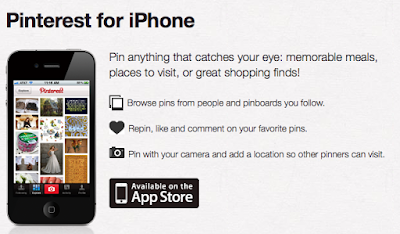 You'll just have to go on Pinterest to check it out yourself. 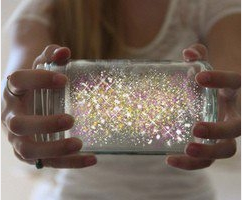 I started a kids board for Elli the minute I saw this jar of fairy dust. We haven't made it yet. But we're going to. I think perhaps I should look at the board titled "Things I want to eat." and start making them so my family is not eating frozen Taquitos from Trader Joe's every night. Not that there is anything wrong with the taquitos. They're quite tasty. You're not going to believe this, but as I was trying to finish up this post I looked a little closer at the collage photo I placed above. This image was right there front and center. See how distracting it is? 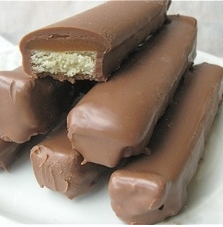 Who DOESN'T want to know how to make home-made TWIX bars. HELLO????? It's a really good thing my family likes taquitos. Guess what? It's here too. Oh boy. I'm in trouble. I know I should drink the lemonaide and get over to Pinterest, but I'm afraid - very, very, afraid. I spend too much time on the computer already. 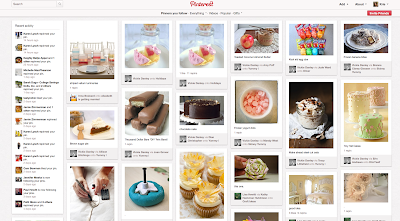 I don't know if I must look at pinterest now. I am sure to get hooked, god help me.